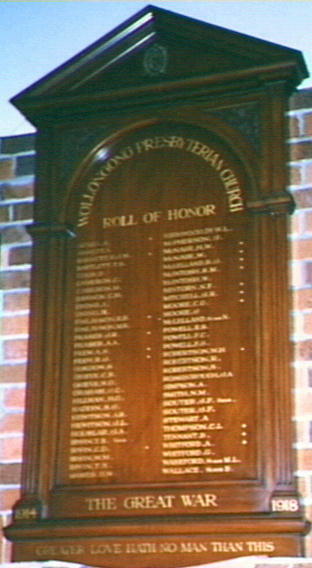 This Honour Roll is located in St Andrew's Presbyterian Church, Burellu Street, Wollongong. 1914 The Great War 1918. Greater love hath no man than this.